Shape Active’s holistic and body-positive message is one we can really get behind! Their cutting-edge fabric technology and signature “S” curve seaming have been developed to embrace a woman’s shape and support her through her toughest workouts. That’s why we turn to their staple pieces time and time again. Explore the latest vibrant colors and prints from Shape Active’s must-have collection. “S” seaming skims the waist and flatters curves while back mesh inserts keep you cool and fresh. Feminine back straps provide full support for all your workouts, while the design moves and stretches with you. “S” seaming stretches with you for a full range of motion, and the forward-pitched waistband flatters every figure. 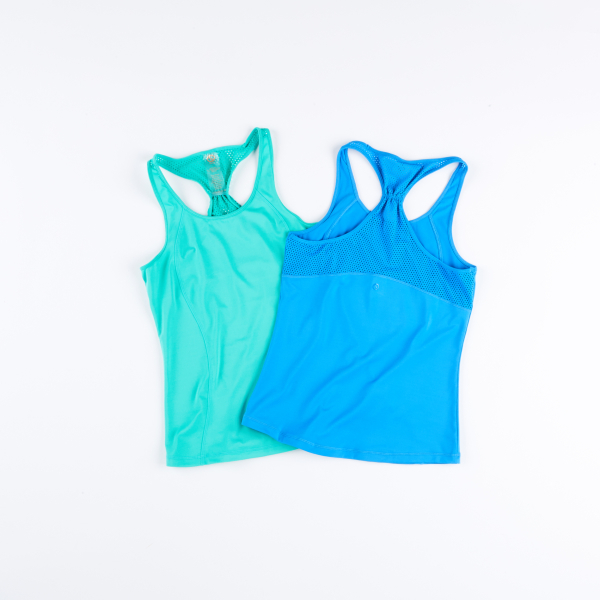 Adjustable straps and molded cups form to your exact shape, while mesh panels ventilate through sweaty low-to-medium impact workouts.